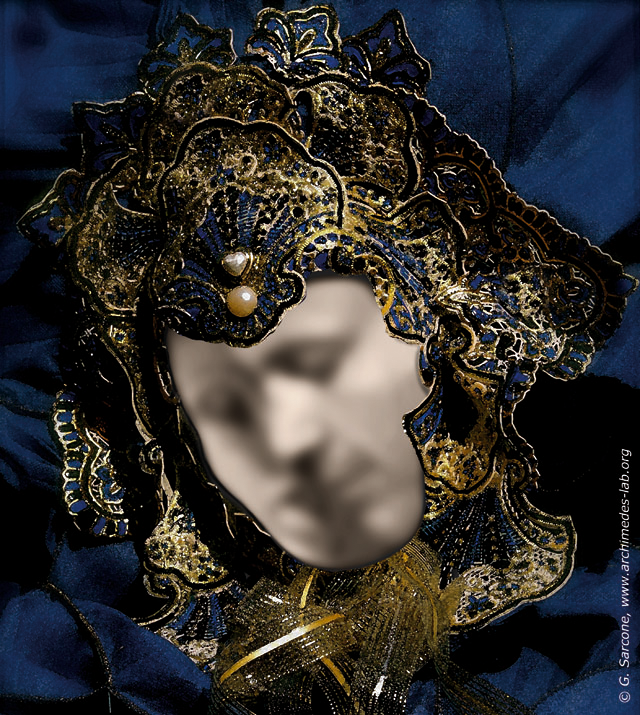 The viewer (test person) sees a picture representing a Venetian mask and is asked if he/she notices something special in it. A surprising number don’t notice that the main features of the mask are actually composed of two distinct faces: a man and a woman kissing one another. Once the viewer discerns two individual faces, his/her brain will ‘flip’ between two possible interpretations of the mask, making the viewer perceive two faces or one face in alternation. This kind of illusion, where the viewer experiences two equally possible interchangeable stable states in perception, is called “bistable illusion”. View solution or the animated version.